Free Estimate Within 12 Hours! M-F Now! Serving The Lehigh Valley Region And Beyond! Revitalize Your Yard With Our Local Lawn Care Services! 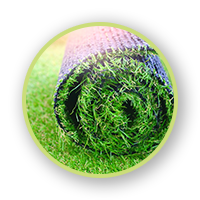 If you’ve been holding your breath for a greener, brighter lawn that simply doesn't happen despite all of your efforts, find amazing and trusted lawn treatments with us! A green, healthy lawn is on the horizon! Don’t sacrifice spending your summers indoors because your grass is brown, dry, and patchy — get expert local lawn care services from a company you can trust! 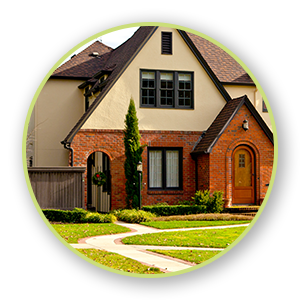 We offer comprehensive lawn treatments that tackle everything from aeration and overseeding to our 6-step lawn fertilization process. Schedule your first lawn care service today! A healthy, emerald lawn is much harder to maintain than many homeowners anticipate. Optimal lawn care goes beyond just watering and sunshine, which is why we customize a lawn treatment plan to fit the needs of your yard. At Green Turf Care, we guarantee our lawn care services because we stand behind our products and our people! Watch your lawn transform into a lush, rich oasis that you can sink your toes into. To schedule a lawn care service or get a free quote, connect with us today! Your free quote in less than 12 hours and quality services when you need them. That’s an efficiency you can trust. Our goal is to be the highest rated lawn care company in the Lehigh Valley. We make clients happy! Years of experience and a passion for what we do, our professional lawn care has everything your lawn needs. You don’t have to wait anymore for a lawn care company who has it all. Get your quote today and see the difference.